Or, a piece of dough, you may use, well kneaded but still soft. And with the fingernail you press the sides to seal. And in a delicate platter put them, where a bowl of pungent mustard in the center sits. For indeed they are the most delicious of all fast food dishes. 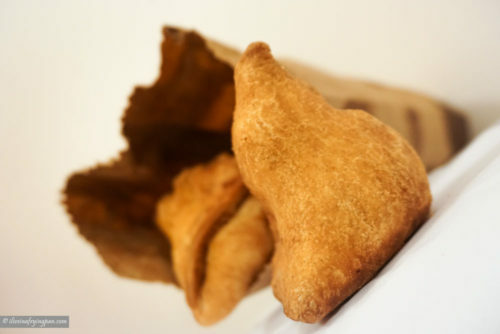 Despite being the ''most delicious of all fast food dishes'' in medieval Islamic courts, samosas fall into that slim category of savoury snacks that I simply never crave. 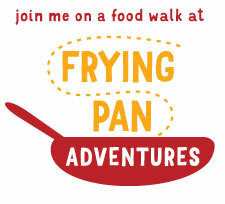 I might have been scarred by a few clumsily fried samosas in the past. Whenever someone mentions a samosa, the image that comes to mind is that of a hot and bothered fritter, sweating profusely through its pores, smudging my tongue with uneasy grease. This unpleasant image overrides the many stellar samosa experiences I’ve had in both past and present, and there have been many. Take my mother's miniature dal samosas for instance*, their sheer skins stretched taut over a split pigeon pea or mung bean filling. These are reserved for the best of occasions and the best of people, which might be why I've not seen one in a painfully long time. But its mum's Hyderabadi lukmi that makes me weak at the knees. These square sisters of our typical samosas sport a comforting mound of qeema nestled into crust that's sealed in like ravioli. They make an appearance on special days of Ramadan or Eid or other such occasions that don't occur frequently enough to have any long-term healing effect on my samosa scars. Another positive memory has been forged at the 30-year old Mohamadiya cafeteria in the historic district of Sharjah. Vegetable mash arrives wrapped in a shell that blisters up in the oil, leaving behind a fragile lacy skin that crackles at the bite. 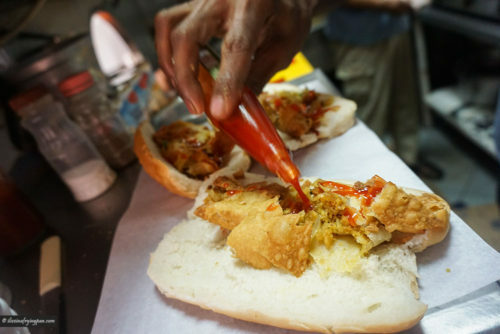 The cafeteria pulverizes their samosa stash, scatters the rubble across a tender samoon bun (hot dog bun) and splashes them over with a bottled hot sauce of aged red peppers and distilled white vinegar. For a paltry two-dirhams, these perfectly proportioned triangles are worth braving the Dubai-Sharjah traffic for an afternoon snack. Or a midnight one by the time you get there. 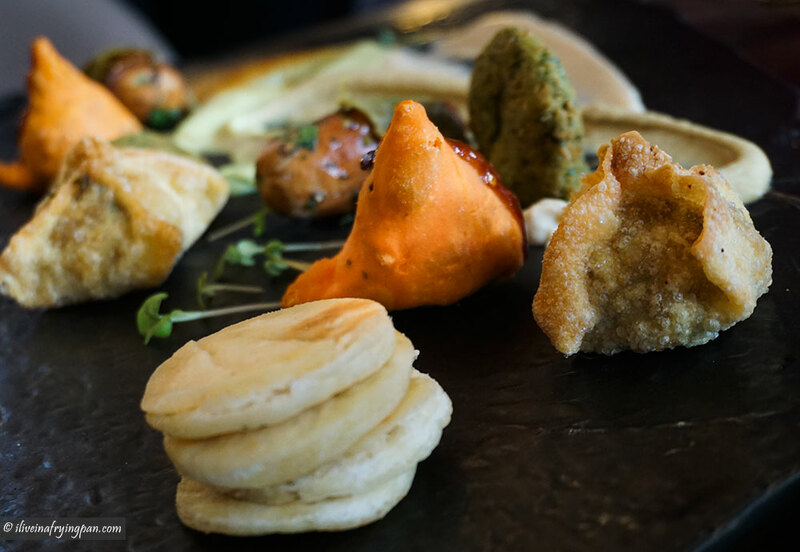 Then there are fritter revelations like Farzi Cafe's petite duck samosas (pictured below). Plump with moist duck meat and dabbed delicately with plum sauce, these refined treats are worlds apart from the triangular masses of the fryer. Or let’s take Logma's Chips Oman and salty cream cheese innovation in Box Park. This creative twist is a clever play on old Dubai nostalgia and merits a place alongside nachos and popcorn at local movie theatres. Everything about them, crust to filling, feels right— until you get the bill. A plate of four indulgent triangles leave your wallet feeling skinny at a hefty 32 dirhams. That's an extortionist 8 dirhams a piece. Or a spirit-crushing 4 dirhams for that last half forcefully wrangled out of your partner's clutches. While the filling is important, I truly believe that it boils down – or sizzles up – to the crust. A stuffing destined for stardom can be ruined by a clammy crust. Now one has to be open-minded to the spectrum of options out there: a skinny spring roll skin that snaps, a blistered sheath that shatters, a biscuit-like capsule that cracks, a shortbread shell that flakes. But a soggy shuck that slumps is simply not on that spectrum. One of my favourite crusts – and one that has redeemed the world of cafeteria samosas for me again – is from a Sindhi cafeteria called Lacchu (don't try Googling it - I already did. It's not listed.) While I haven't found the actual cafeteria, I've often intercepted the delivery boy Deepu** as he cycles around Naif hawking Sindhi/Punjabi-style carom-infused potato samosas. His loot has no samosalings – rather, these tawny hulks sport a firm tush that lets them sit tall and unsupported on a plate. The casing is closer to a baked pie-crust (make no mistake, it's still deep fried) that holds up well even after a severe drowning in chutney. The last time I snagged twelve of Deepu’s two-dirham samosas, three of the pack mysteriously vanished in a covert family tasting operation. Another samosa variant worth mentioning are the mini dry-lentil samosas at Chappan Bhog. These are the sort of hard-shell samosas that, by virtue of their dry spiced stuffing, keep well for a long, long time. Maybe even until the fall. Or until Christmas, Or until I write my next post, inshallah. 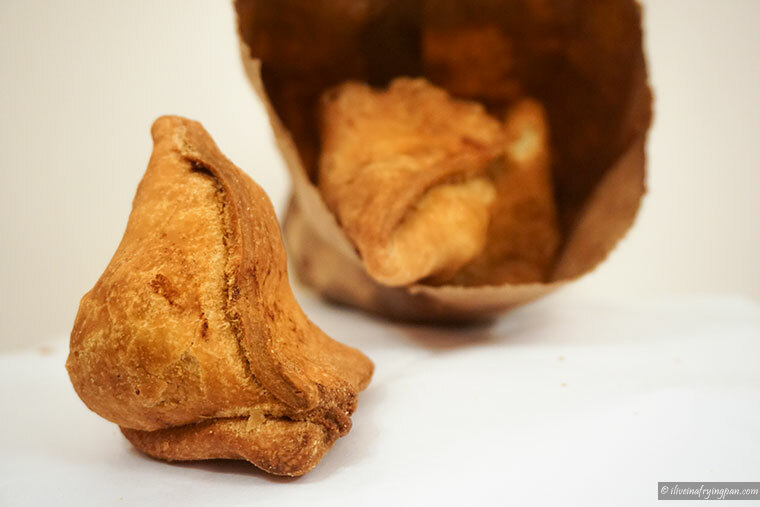 Many people adore these half-bite samosas, but I’m rarely tempted to try. Something about jamming your jaws against a hard, desert-dry crust to find more desert-dry filling on the inside just doesn't feel right. It loses the joy of textural contrast, the anticipation of cracking through to a moist tender filling, the thrill of watching bits of the soft fresh stuffing drift away into your chutney. Sorry dad, I know you love these. Yet, despite this not insignificant list of samosa successes, my mind keeps harking back to the few samosas that failed with Brexit-like irrationality. The nagging thought of encountering a finger-staining grease bomb has put me on guard against samosas that steer their stuffing in my direction. It might take a few more of Deepu’s, maybe a plate (or two) of mum’s, potentially a Farzi duck samosa thrown in for good measure, to erase my sullied samosa memories forever. * If you were planning to ask me for mum's dal samosa recipe, please don't. These are fiercely guarded secrets, just like her biryani and lukmi. ** Deepu can be caught cycling around Naif. It's worth hanging around in the backstreets to spot him there. I just love your writing! I am not a Samos’s fan either but never admitted it haha!